Insuring your home can be an expensive affair. With rising costs of homes and building material, loan rates and mortgage rates have also gone up. However, not having any kind of cover could be a rather unsafe decision to make. Furthermore, most banks offering home loans and mortgages, insist that you have a home insurance policy before they release their funds. 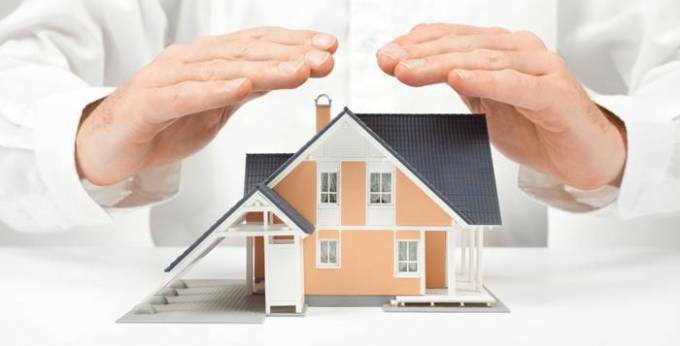 So, if you must have a home insurance policy, choose one that’s easy on the wallet. Here are a few simple, yet often unconsidered options. Take a look at your inventory to make sure you have a policy that provides you with sufficient cover and at the same time ensure that you are not over-covered. In other words, insurance can come in three forms, the basic cover, mid-range and the comprehensive cover. If you seek an insurance provider online, the quote they provide is generally a comprehensive one. In general, a basic cover protects your home from fire accidents and such. While a mid-range one covers the basic aspects along with added cover for expensive possessions. The comprehensive one covers everything including people who live on your property, as well as anyone who may accidentally injure themselves on your property. Perhaps you once owned expensive designer furniture, but it’s not worth as much now. In such cases, it’s best to downgrade your insurance cover. If you’re looking for an affordable home insurance policy, opt for the basic cover, since, you can get by even if there’s a theft, injury or leak in your roof. But getting through a fire can be a real challenge. Check for credits offered by your insurance provider. Most insurance providers reward people for being safe and reducing risk. This means that chances of you making a claim are low hence you are given discounts on your premium. Big reductions can be made simply by ‘playing it safe’. For Example, having an alarm system, indoor sensors, living in a gated community, or even being claims-free for a long time can get you discounts of up to twenty percent. In addition, having your car insured with your home insurer will also draw reduced rates for you, since it means more business for your insurer. Some insurers even have referral programs from which you can benefit, just by referring someone to your Insurer. Increase your deductible. The deductible is the amount you pay before you claim your insurance. If your deductible is increased only from $500 to $1000, you can knock off up-to ten percent of your premium. If you increase it to $2500, you can decrease your premium even more. There are a number of ways to find affordable insurance policies, keep asking to find affordable rates. Remember, little drops still make the ocean! Beneficial Insurance Solutions is a Leading insurance broker In Canada, that provides the guidance about how to find Home Insurance Calgary and Auto Insurance Calgary.